C9 Aromatic Petroleum Resin is made with rectification, reaction, flash evaporation and molding from the byproduct C9 coming from Ethylene Cracking Plant. C9 Aromatic Petroleum Resin is yellowish to puce granular solid with high transparency, glossiness, compatibility, water tolerance, insulatibity, good dissolvability, chemical stability to acid and alkali, cohesiveness and thermal conductivity. So C9 Aromatic Petroleum Resin has wide applications in many industries. For rubber process, C9 Aromatic Petroleum Resin is used as tackifier in processing rubber and enables inteneration, compensation and adhesive promotion, then improves the molding properties to prevent delamination and air bubble. 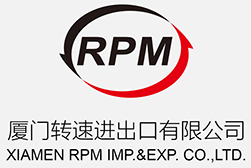 C9 Aromatic Petroleum Resin is mainly used in producing tyres, wedge shaped belts and rubber tubes. For adhesive production, C9 Aromatic Petroleum Resin is used in producing adhesive, particularly in producing heat melt adhesive and pressure sensitive adhesive, which remarkably improves the stickness, elasticity and low temperature property and has high water resistance. C9 Aromatic Petroleum Resin is offen used in agglutinating veneer, wallpaper and leather. For dope manufactory, C9 Aromatic Petroleum Resin is often used in producing enhanced latex dope and also oily dissolved dope in order to improve glossiness and adhesive force, which not only decreases the production cost, but also enhance the glossiness, hardness, water tolerance. Such petroleum resin has high surface hardness, good glossiness and quick dry property. For printing ink production, C9 Aromatic Petroleum Resin could be dissolved into hydrocarbon resin. And C9 Aromatic Petroleum Resin has characteristics like high softening point and stable property. So C9 Aromatic Petroleum Resin can be used in producing printing ink. C9 Aromatic Petroleum Resin has a great impact to printing ink's rheological property and combining material's stability. The filling quantity is only about 55-60% of colophony and can achieve the optimal plasticization. For paper making industry, C9 Aromatic Petroleum Resin is used as sizing agent in making paper. Compared with the traditional colophony, C9 Aromatic Petroleum Resin is characterized with low air bubble and more lubricous paper surface and decreases the absorbency to water and ink, which improves the paper's smoothness, hydrophobicity and printability. For others applications, C9 Aromatic Petroleum Resin is used as water treating compound in oil field, slurry additive for artesian well and modifier for asphaltum. C9 Aromatic Petroleum Resin is contained in woven bag made from polyethylene and polypropylene with plastic bag as interal lining. Each bag is in standard net weight with 25Kgs. C9 Aromatic Petroleum Resin also can be packed with the materials and net weight speficified by customers. C9 Aromatic Petroleum Resin is inflammable and non-dangerous goods, but it is also needed to keep C9 Aromatic Petroleum Resin from direct sunshine, rain, hooking and high temperature during the transportation in order to maintain good quality. C9 Aromatic Petroleum Resin shall be stored in a ventilated, cool and dry place with storage period of one year. Beyond the storage period, it is necessary to inspect C9 Aromatic Petroleum Resin again in accordance with the related specification and standard. C9 Aromatic Petroleum Resin can be used if the inspected result meets with the mentioned specifications and standard. C9 Aromatic Petroleum Resin is shipped by truck or train, but C9 Aromatic Petroleum Resin can not be transported with inflammable or corrosive articles in the same vehicle. The tarpaulins are needed if it is shipped in openwagon.